Wedding ring photography takes a while to master. You have to learn how to deal with reflections and light, and how to deal with the shadow side of the diamond or center stone. We love positioning the ring to maximize bokeh patterns. 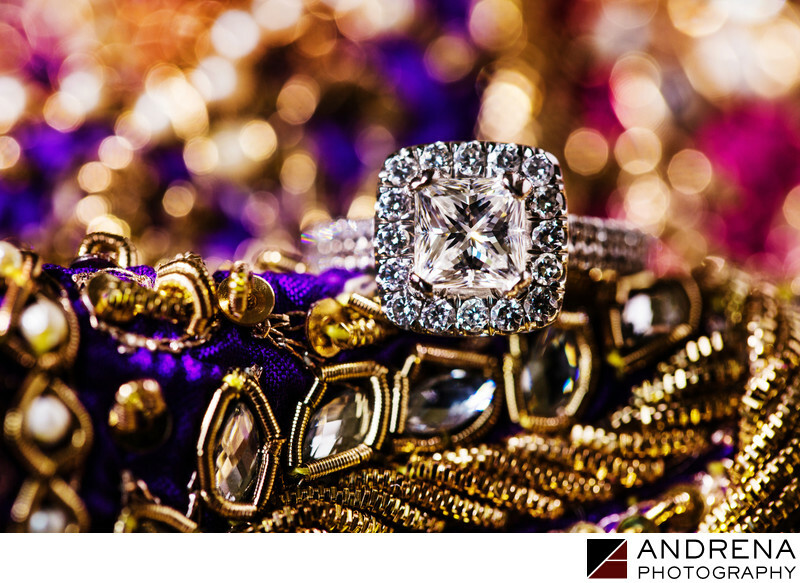 Giving your photographer enough time to shoot your wedding rings properly will always give you a better result.